More and more leading U.S. academic medical systems and hospital groups, along with other U.S. healthcare organizations, are seeking to develop international partnerships in fast-growing markets within Asia, Latin America and the Middle East. Unfortunately, organizations often strike a deal before they fully understand the various mechanisms needed to enable substantial revenues to flow from these partnerships. As someone who has negotiated dozens of major healthcare deals around the world on behalf of two major medical centers, I’ve learned (initially the hard way) just how important it is to ensure that international partnerships are built around the appropriate financial model. The fee-based model is a relatively low-risk one. That’s because organizations receive payments at scheduled dates and can budget accordingly, and because they’re not speculating on the future value of a jointly-developed hospital or other asset produced by the partnership. There are three main types of fees: activity-based, percent of revenue, and royalty. Activity-based fees — The primary component of fee-based deals are often activity-based fees, where an organization charges its client for time and materials, much like a consulting company would. The process starts when the organization that is providing the consulting develops a scope of work document, calculating which staff members will be involved, for how many hours and at what rates, and what profit margin will be placed on top of those costs. For example, the scope of work might specify that John works for 100 hours at $150/hr., and Jane for 80 hours at $350/hr., with a margin of 25 percent, for a total fee of $53,750. The organization might then round that number off and present it to the client, at which point a negotiation might take place. The provider of the service should always know its break-even point and absolute minimum price, so it can negotiate within a corridor above those figures. Keep in mind that calculating the hourly rate of individuals is often an inexact science, influenced by market rates that may vary with what other consultants in the region charge and whether the consulting company is based in a high-income country such as the U.S., or in a lower-income country such as India. Percent of revenue — The second category of fees is percent of revenues, also called performance payments, success fees, or fee sharing. These are often used when a healthcare organization helps its partner establish or improve a facility and gets a cut of revenues. Deals structured around percent of profit need to be nuanced by calculating whether fees will be based on a percentage of the gross revenues — that is, before expenses are deducted — or a percentage of the net revenues, or on some combination of the two. Keying the deal to gross revenues helps organizations manage the risk that their client partners might have with complicated accounting: dumping in expenses, say, so that even though there is high gross revenue, there is little to no net revenue. Companies typically will try to negotiate 0.25 to 1 percent of gross, or 2 to 5 percent of net. I often suggest looking for a way to take some of the gross, and some of the net. Royalty fees — Royalty fees are built around the use by a client of an institution’s name or other brandmark. 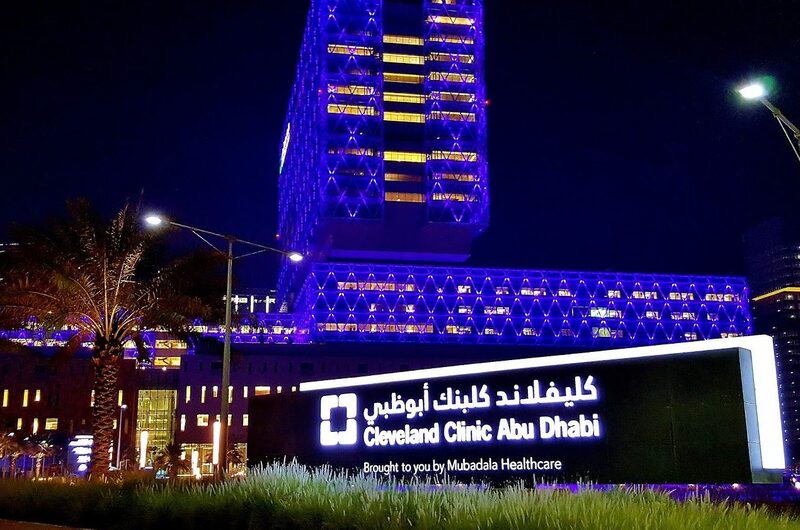 Examples include the Cleveland Clinic Abu Dhabi, developed by Mubadala Healthcare and modeled after the Cleveland Clinic in the U.S., and Duke-NUS Medical School in Singapore, a partnership between Duke University in the U.S. and the National University of Singapore (see GHCi’s interview with Dr. Thomas M. Coffman, dean of Duke-NUS). The dollar amounts of these fees vary widely with market conditions and project specifics, making royalty fees subject to significant negotiation. The arrangements often include both a fixed fee and a variable one that could increase over the years. Deals can range in value from tens of thousands of dollars to millions of dollars annually. An organization lending its name to a partner of course wants to maximize the amount of money it can make. But it doesn’t want to charge so much that the fees become a burden capable of killing a partner organization that may be struggling to reach profitability. Organizations with strong brand names are understandably hesitant about the risks that come with lending its name, and there’s always a concern about quality control at a partner using that name. As a result, these deals cry out for sharp performance criteria, with clear metrics about what kinds of quality targets have to be met. Lack of performance should enable the removal of the brandmark. Fees are generally paid out annually at the end of the host company’s fiscal year. Needless to say, the provider organization should take to care to avoid signing contracts that limit its own rights to its brandmark for all uses. A deal that’s very different than fee-based deals is one in which the company providing the consulting or other services takes an ownership percentage in the entity jointly created by the partnership. In the healthcare industry, equity deals tend to happen either with private partnerships or public-private partnerships. They rarely are structured with hospitals that are entirely government-owned. Equity can be acquired either through a direct cash investment, or through an “earn out” process in which fees for service are calculated, but rather than being paid out, are converted to equity. The equity can be provided as shares in the joint entity, or as options to buy and sell shares at a certain fixed, pre-negotiated price in the future. The idea is that the joint involvement of the organizations will enhance the value of the company going forward, increasing the value of the stock or options. In some cases the stock provides annual revenues in the form of dividends, but these tend to be relatively small amounts. The biggest equity deal in this space is the one I oversaw while leading Johns Hopkins Medicine International with Saudi Aramco, a Saudi Arabian national petroleum and natural gas company. Together we created Johns Hopkins Aramco Healthcare, which began in 2014 in Dhahran, Saudi Arabia. It was a first-of-its-kind joint venture creating a massive healthcare delivery system servicing Saudi Aramco’s 365,000 employees and their dependents. One of Hopkins’s major contributions was consulting and knowledge transfer in 14 clinical areas, as well as training programs in nursing, quality and safety, research, and leadership development. In the initial 10-year agreement, which is ongoing, both Aramco and Hopkins hold direct ownership stakes in the new Saudi company. That said, I'm generally not a fan of equity because its value is tied to your ability to exit the deal. Until you exit, and sell the stock or options, you can’t extract revenues from the deal other than dividends. In some cases, you may have trouble selling the stock even on exiting the deal, because if you own a large share of the entity, then selling it will cause its value to plummet. That means you may not have a clear exit strategy for equity-based healthcare deals. You can hope the entity gets acquired, goes public or attracts another investor — enabling you to sell your stock — but you can’t count on any of these outcomes, which means it could be difficult to ever recover the full value of your participation in the deal. But in spite of that extra risk, there may be compelling reasons for a hospital group to enter into an equity deal. For one thing, a hospital’s willingness to accept an equity deal will make it a more attractive partner, because potential overseas partners like the idea of saving the money they’d otherwise have to pay in revenues, and it demonstrates the U.S. hospital’s commitment to, and belief in, the ultimate success of the project. First-time players may even have to accept an equity deal to get going in the overseas partnership space. But for healthcare organizations new to the international-partnership sphere, it’s preferable to start with simple, straightforward, fee-based relationships. That way they can gain a better understanding of the organization’s true costs and capabilities, at a lower risk. And many healthcare organizations are biased toward reducing risk, rather than just wisely managing risk. For these risk-averse organizations, a simple fee-based deal can provide a quality interaction and lead to a fruitful relationship — hopefully the first of many. Steven J. Thompson is the co-founder of GHCi. He is currently Senior Vice President and Chief Business Development Officer at Harvard-affiliated Brigham and Women’s Hospital. Previously, Steve was the founder and CEO of Johns Hopkins Medicine International, where he led Hopkins' strategic involvement in over 30 hospital building and improvement projects in Asia, Latin America, the Middle East and Europe.